Do you go to Burning Man? Do you want to? Do you bring Fire Art? Do you want to? Learn more about the Fire Art Safety Team and what is expected of you as an artist. Join Carly Brummitt and Chelsea Barrie as they share the experience of bringing Open Fire, Flame Effects and Pyrotechnics to playa, and let you know what to expect with your own art. If you have a project or plans you’d like to bring with you, they would be happy to look over them with the group and offer tips, tricks and resources. Two-second resume: Chelsea has volunteered with F.A.S.T. since 2012 and is currently part of the team that oversees Flame Effects coming to the event. Carly and Chelsea, (ProFX Inc / Fireworks Spectaculars Canada / Howard and Sons Australia), brought Open Fire, Flame Effects and Pyro for Mazu: Goddess of the Empty Sea in 2015. Previous to that Chelsea worked on Temple 2011, the Pier 2 and was the Burn Lead on Embrace. VHS to set sail for the future! With this change in course, VHS hopes to attract and accommodate the nouveau rich and a more wealthy demographic in general, and hopes to thus to contribute to the effects of the gentrification of the upper Commercial Drive area at large. VHS, its board of directors and its membership, wish everyone a smooth sailing! Dear everyone! We have a new space, and its mostly set up, we should have a party! This is a smaller party to celebrate the new location, and to warm our way up to our big 10th anniversary party that is coming later this Summer. Never been to a hack space before? Dying to see the VHS space? This is the perfect time to visit! VHS members will give you a tour around the space, show off some cool projects, and answer any questions you have. Many of our members share an interest in 3D printers, laser cutting, machining, crafting, electronics, robotics, programming, electronic music, and art. Have you made something amazing? Are you in the process of building something that will become amazing? Are you just starting out and want to talk to people about your amazing idea? Come down to VHS and tell us about it. Bring your projects! Small Super Happy Hacker House (SSHHH) is a social night where members, friends and guests gather for a social night of conversation, lightning talks, and super happy hacker games. A lightning talk is VHS’ version of an un-conference, where people do short presentation on any subject that they want. Unlike other presentations at conferences, lightning talks last only a few minutes (2 min or less) and friendly heckling is encouraged. Read a great Georgia Straight article about one of our previous open houses/SHHH! Limited street parking is available just outside the space on Venables and Woodland Drive. Bikes can be parked in our loading bay for the night or locked up on the bike rack outside the front door. Everyone! Hackers, Makers, Crafters, Kids, Guests, Members, Friends of VHS, Anyone and Everyone. If you are under the age of majority (19) then you should bring your parent or guardian with you as well. The Vancouver Hack Space Has Moved! Tuesday night open houses are back on! 1601 Venables St, and the very root of Commercial Drive. After a tremendous amount of work for the past month, by an extremely casual estimate of 60-100 people, VHS is opening our doors again, every Tuesday night, starting at 7:30. We are operating a very minimal capacity, so don’t expect some laser time, but come on in, check out the new digs, and maybe help set some stuff up! The Vancouver Hack Space is Moving! Vancouver Hack Space is officially moving to our new location at 1601 Venables Street. Our Cook Street location is being decommissioned and no longer open to members to work on projects. The timeline will be as follows: – January 12/13: packing/teardown – January 19/20: moving – January 26/27: final setup in the new space! That’s right, we have found our new home! Our new address is 1601 Venables St, right by Commercial Drive. Yes, we are now on the Drive, in the real heart of East Van. What an exciting time. But we need your help! This Saturday, January 19th is move-day. Please come on down to our old location, #104-1715 Cook St and help the move efforts! 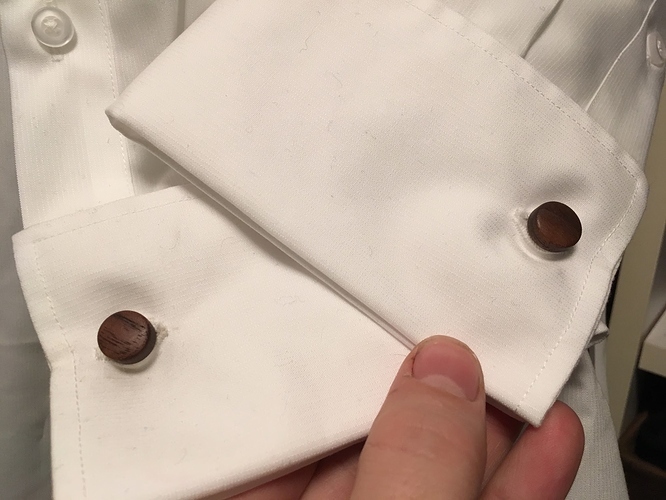 More information in this thread here. We need a couple more drivers comfortable with 22-foot diesel trucks! And after that, stay tuned! We’ll have a space-warming-party imminently! 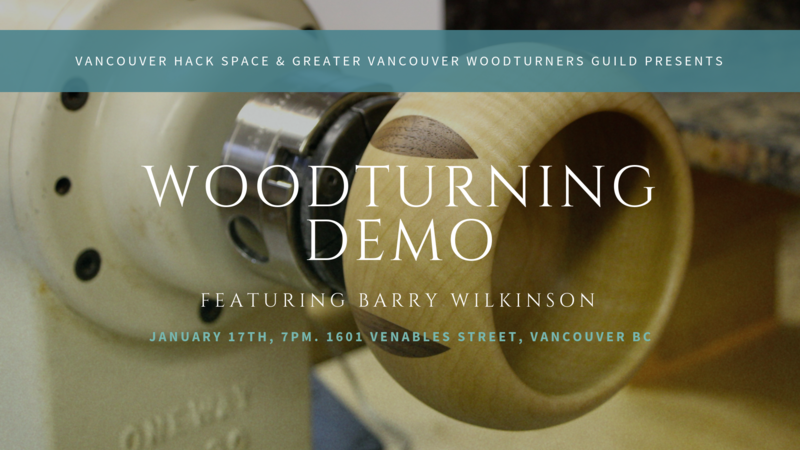 Vancouver Hack Space is partnering with the Greater Vancouver Woodturning Guild to bring you a wood turning demo, featuring Barry Wilkinson. 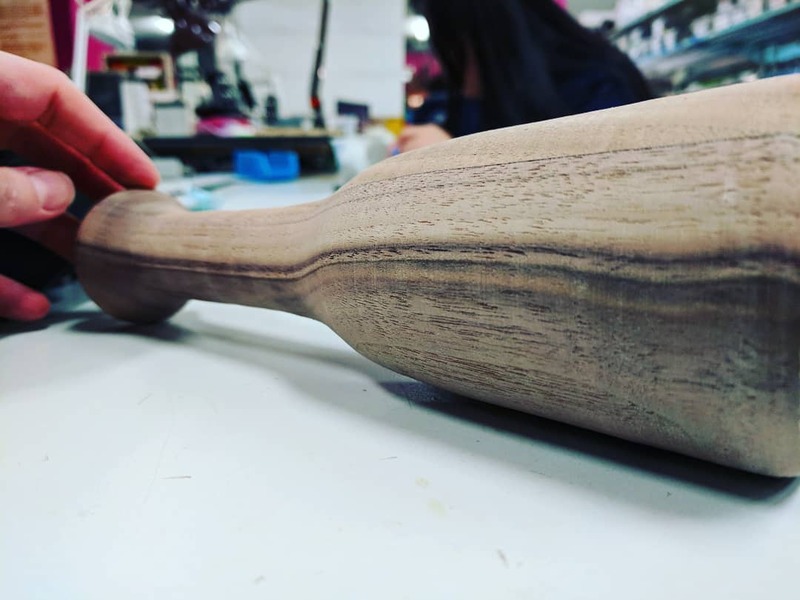 Come and check out our new space, the “Mullet” at 1601 Venables street, and watch a piece of wood blank being turned into a masterpiece right before your eyes! This event is open to public and everyone is welcome. 18:30 ~ 19:00 Orientation of the new space for newcomers. Barry’s home and workshop is in White Rock, BC where he has lived for the last 44 years. 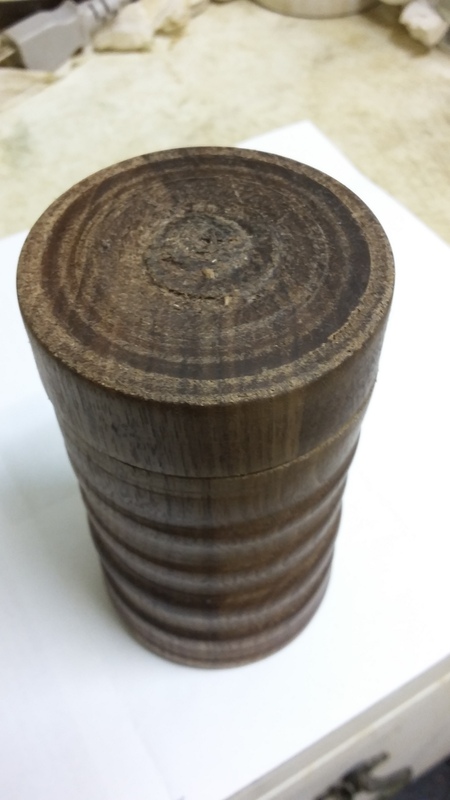 He has been a woodworking artisan for 20 years, initially focusing on flatwork but made the switch to woodturning 9 years ago when he needed a finial & rosettes for a grandfather clock he was making. 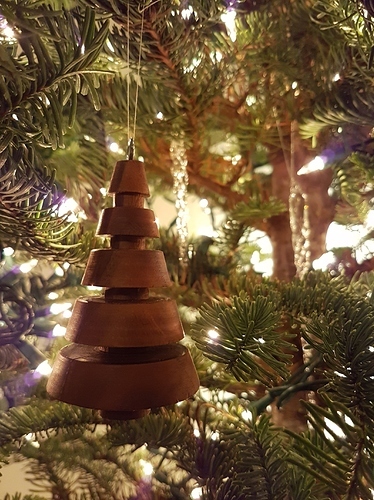 He is active with both the Greater Vancouver and Fraser Valley Woodturners Guilds and credit much of his progress to his participation in these associations. Barry’s hobby reflects an interest in the attempting unusual pieces where the processes to produce them are not immediately obvious (seldom are 2 turnings the same), as well as his passion for attention to detail and the pursuit of perfection in the final finishing of the piece. The Vancouver East Side Culture Crawl is coming up from Nov 15 – 18th. 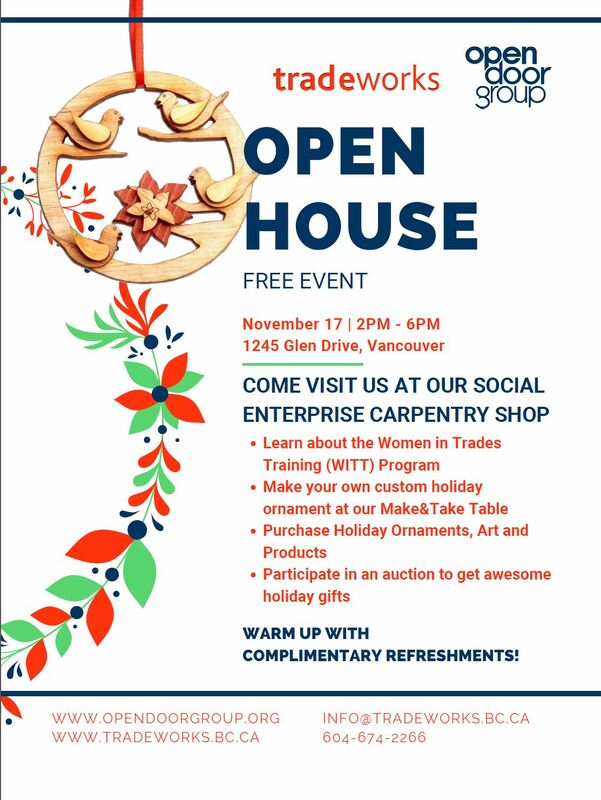 This event features all kinds of artists, designers, artisans, and other creators who work in the Vancouver East Side. Check out these VHSers during the crawl and all the other artists and maker organizations in the crawl area. 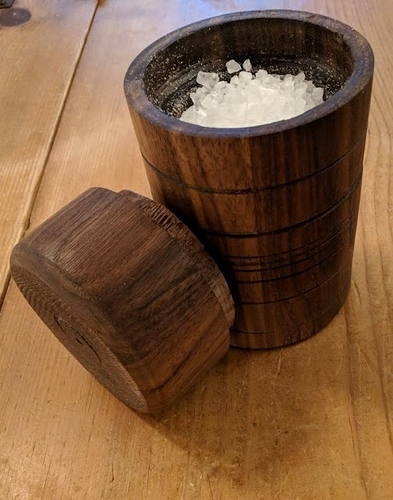 A member of both VHS and Vancouver Community Lab (Colab), Mark is an artist who creates work in a variety of mediums from woodworking to textiles to welding and more. 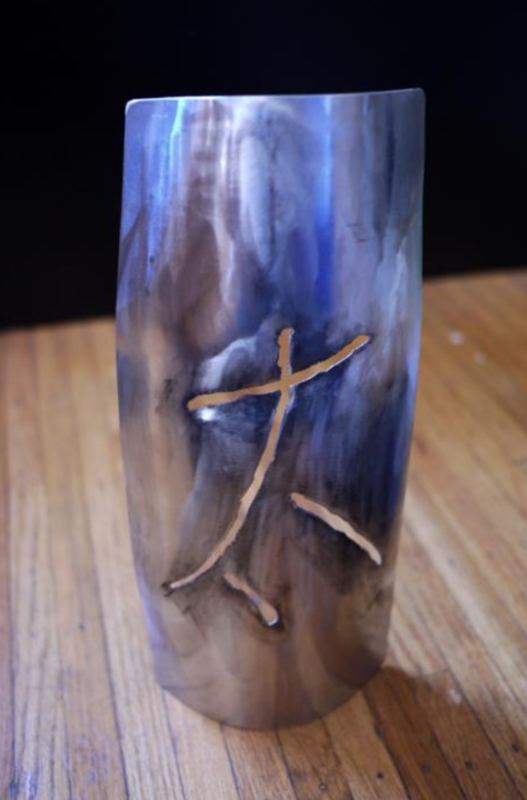 Most recently he exhibited at the Deer Lake Gallery Luminesence show and will have a number of new works at the crawl. 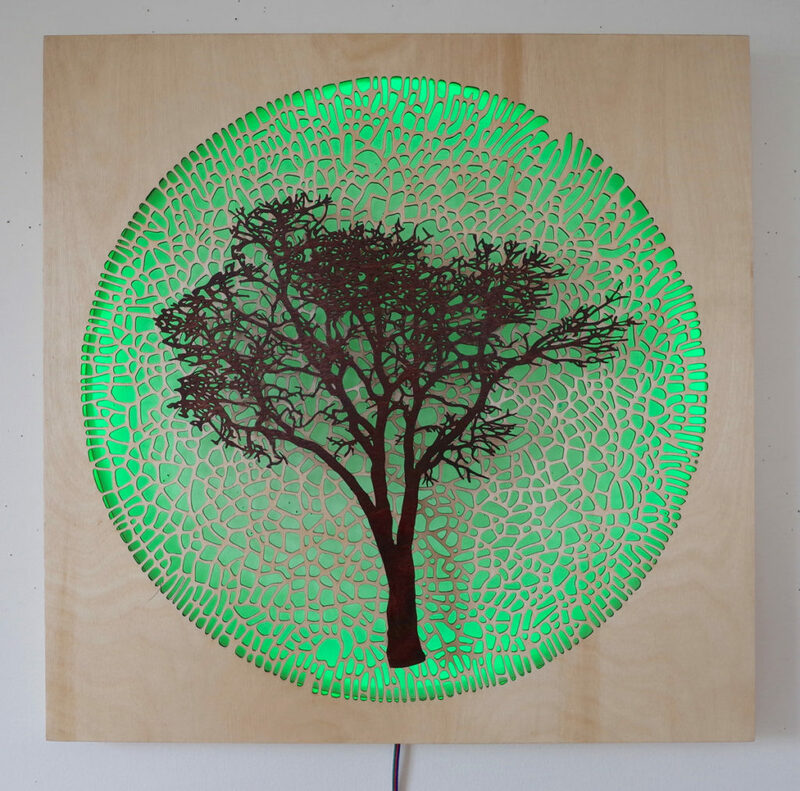 Mark can often be found at laser-cutting at the space and also does a lot of metalwork at Colab. Check out his latest metal creations and more! 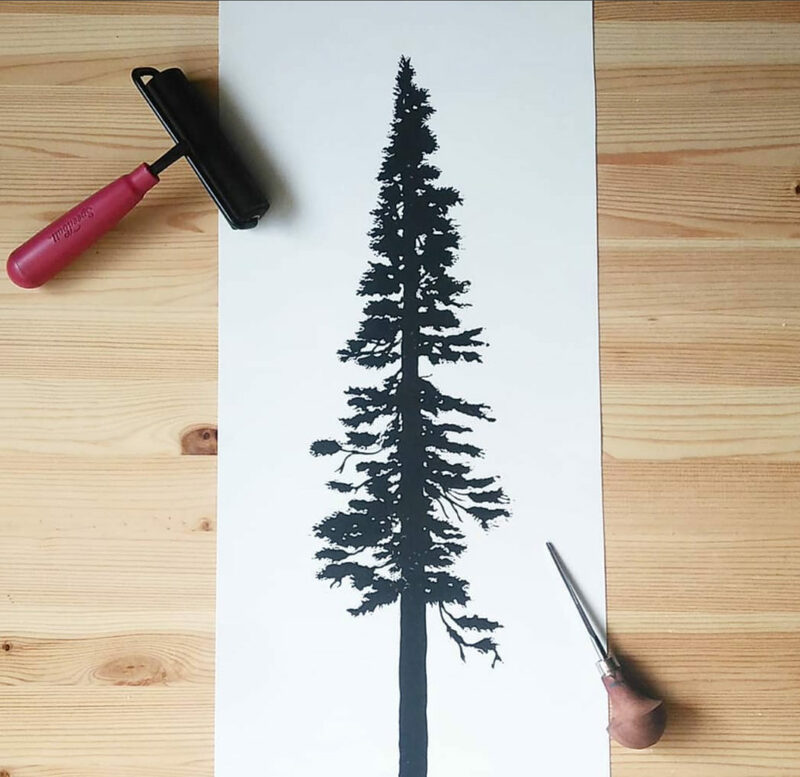 Baptiste is an artist and designer who creates work with a strong connection to nature. 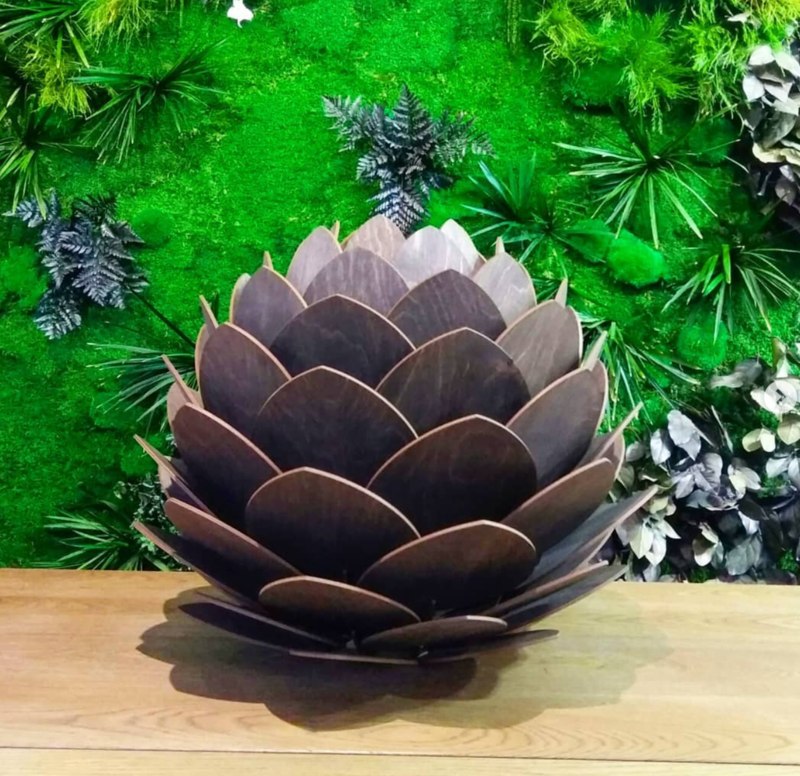 You may have seen him around the space working on his beautiful laser-cut corner planter or the hops-flower hanging lamp. He is also a print maker and will have some new linocut prints at the crawl as well as a range of laser-cut wooden ornaments and lamps. 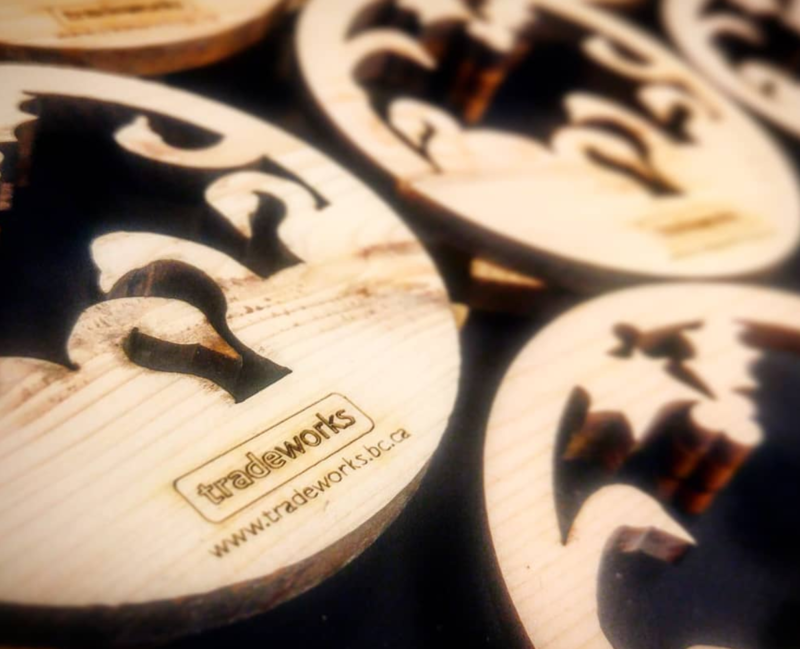 Not officially part of the crawl, but in the area and definitely worth checking out are our friends at Tradeworks. They have an impressive shop setup where they teach woodworking and carpentry skills. Tradeworks also have a Women in Trades program designed to help women transition into carpentry-related trades. They’ll have an open house during the crawl. If you do visit say hi to Steve, who is a longtime friend of VHS. He’s taught woodworking to many VHS members. Visit the Tradeworks website for more details. 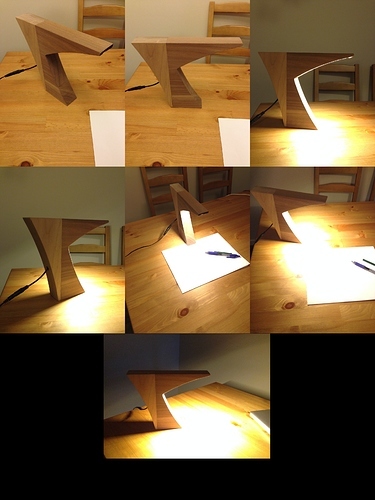 There are many more makers involved in the crawl this year, be sure to check them out. Here is a handy map to navigate the crawl. Have fun! 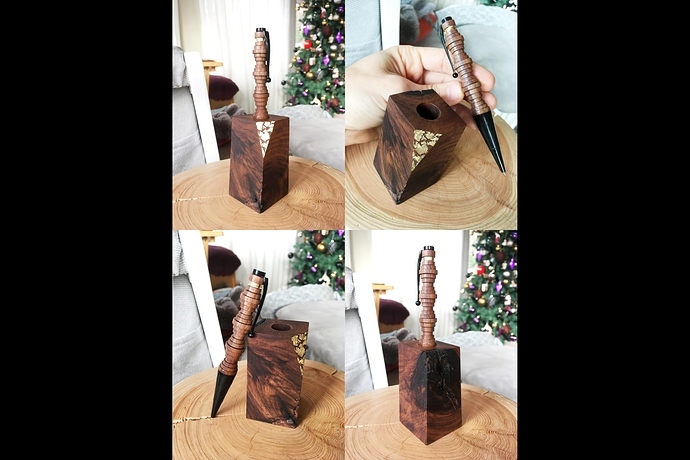 Pen and pen holder by Sean. 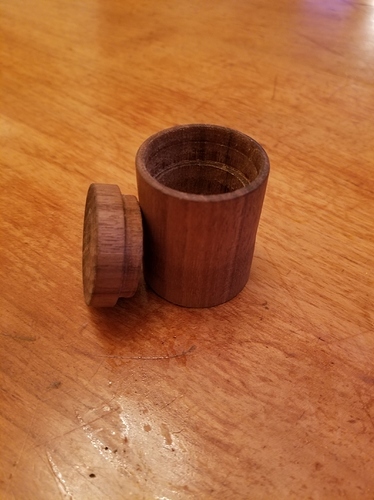 Container and lid by Ace. 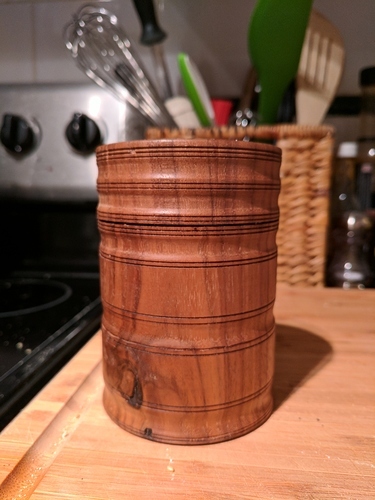 Container with lid by Rahul. 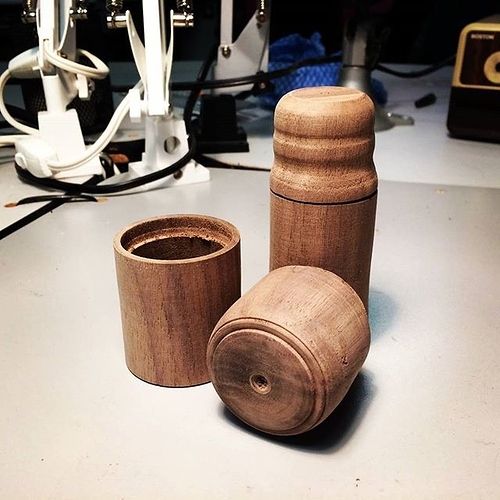 Containers with lids by Mike. 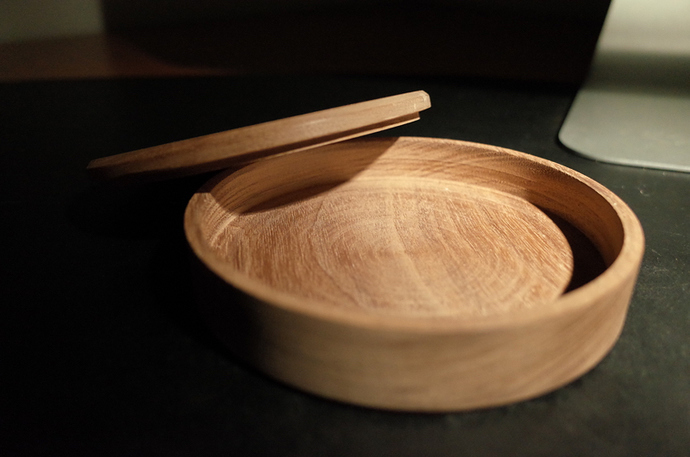 Wooden bowl with lid by Mark. 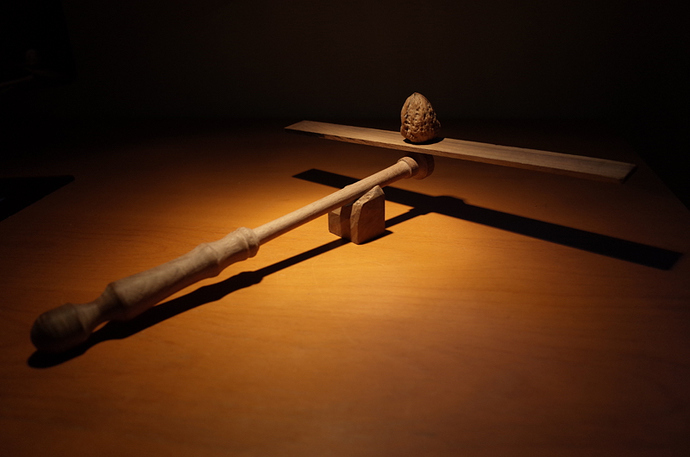 Spindle turned sculpture (with walnut) by Mark. 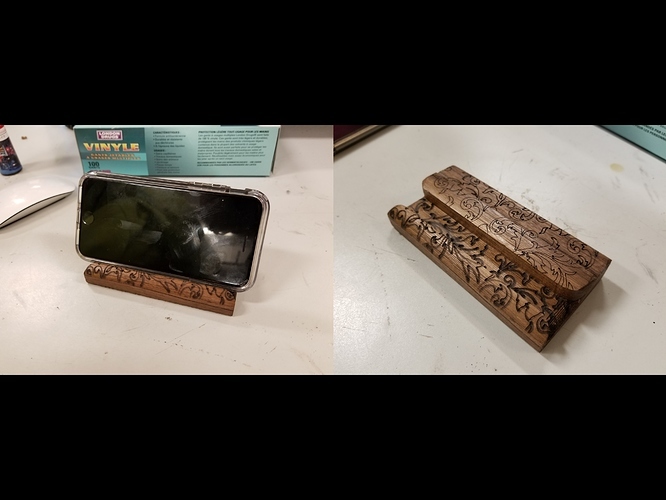 Laser engraved phone stand by Luke. A tree for the tree. Made by Logan and Roxy. Carving mallet by Janet and Mimi. 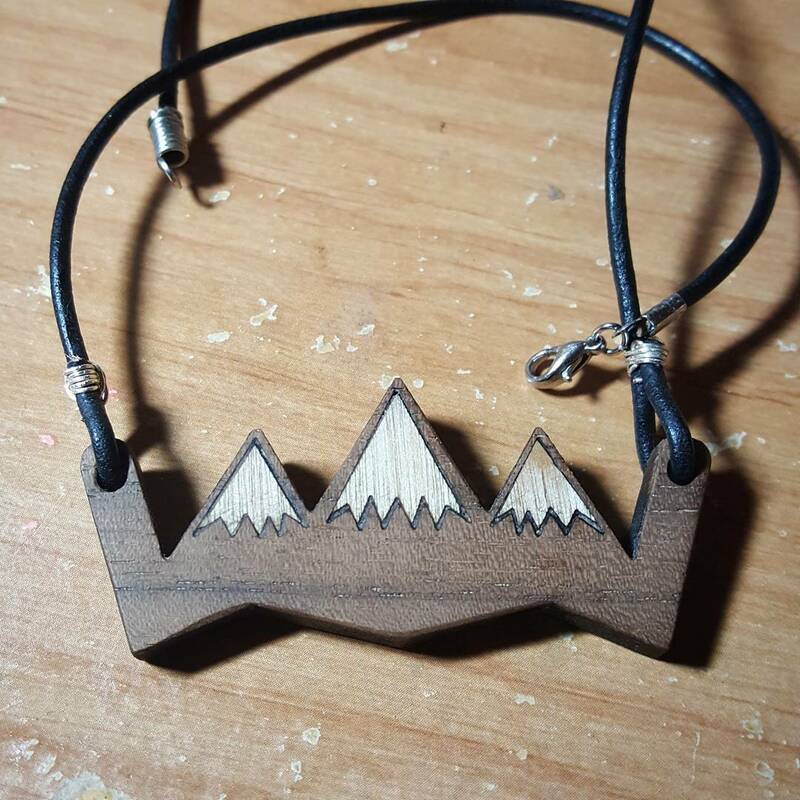 Walnut necklace with maple inlay by Jake. 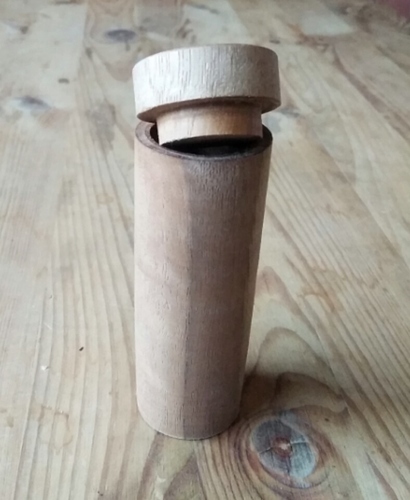 Container with lid by Baptiste. Visit Instagram to see more VHS projects. If you’re interested in donating furniture-grade hardwood scraps for our materials challenge please contact us. Thank you! After long and tough negotiations with the greater Vancouver region cities as well as the province, Vancouver Hack Space (VHS) is proud to announce its winning bid for the provincial plans to establish a maker-island on Douglas Island (https://goo.gl/maps/t8LUxEVcju72). This will be in preparation of legislation that is currently under development that will ultimately bar any hacker/maker activity within the city limits of nearly all of the metropolitan Vancouver city councils. Over the next few months, VHS will start reaching out to fellow hacker-/maker-/creative-spaces in the GVRD to establish requirements and timelines for the eventual move. The plans for the development of Douglas Island will include a permanent VMMF structure, as well as member-accommodations and space to build log houses. Initial construction is to commence early April of 2019. Dear everyone! After far too long, Super Happy Hacker House is back. Never been to a hack space before? Dying to see the VHS space? This is the perfect time to visit! VHS members will give you a tour around the space, show off some cool projects, and answer any questions you have. Many of our members share an interest in 3D printers, laser cutting, machining, crafting, electronics, robotics, programming, electronic music, and art. 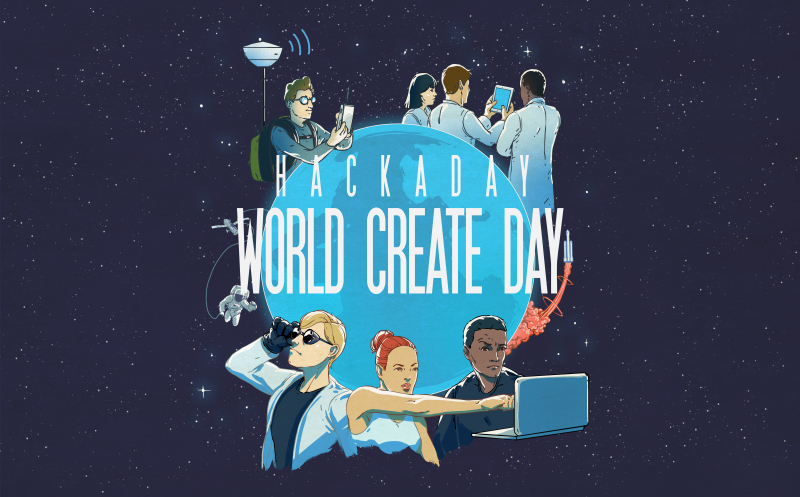 We’re also combining this event with World Create Day. Super Happy Hacker House (SHHH) is a social night where members, friends and guests gather for a social night of conversation, adult beverages, lightning talks, and super happy hacker games. Limited street parking is available just outside the space. Bikes can be parked in our loading bay for the night or locked up on the bike racks outside the front door. This map shows all the parking and amenities around the new space. If you are under the age of majority (19) then you should bring your parent or guardian with you as well. For those of legal drinking age (19), VHS will have donated beer for the adult-only event that will be available after 8pm. NEW! VHS has moved to our very own building at 1601 Venables St. Visit us on a free open night come visit!.